A couple of nights ago I went to a 21st in an amazing venue in Melbourne called The Moser Room. 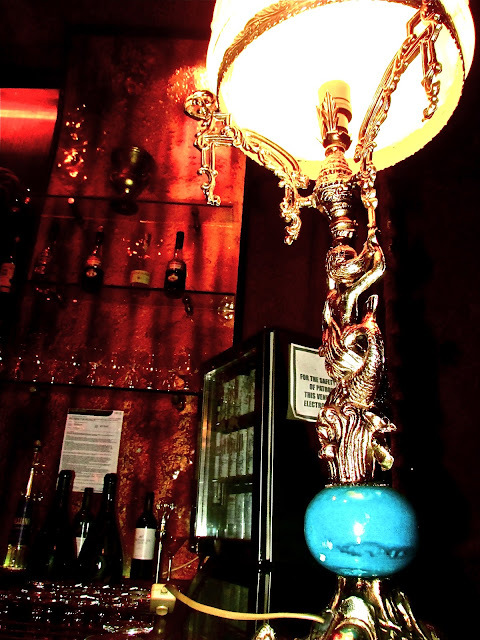 Located in the heart of Chapel Street, Prahran (pronounced Pa-ran), is this Victorian meets Moroccan themed bar. With baroque lounges and lavish chandeliers, The Moser Room was a little piece of luxury amongst Melbourne's busy nightlife. I arrived quite late because I had work until 10pm and was pleasantly surprised with what I walked into when I got there. I can't quite work out if my camera failed me or did me a justice when taking some room photos. As you can see it decided to add it's own light leak filters even though I had the flash turned on.